Are you ready for a new Scale truck build? CMAX chassis is a great place to start! We've set up this rail set to allow the drivetrain to slide forward and aft a total of over 30mm when using our GCM LowRange/LRT2 driveline combo (in the drivetrain section.) The front servo mount adjustment is another 20mm, so you can match up your body and equipment alignment perfectly with NO strength compromise or extra parts. 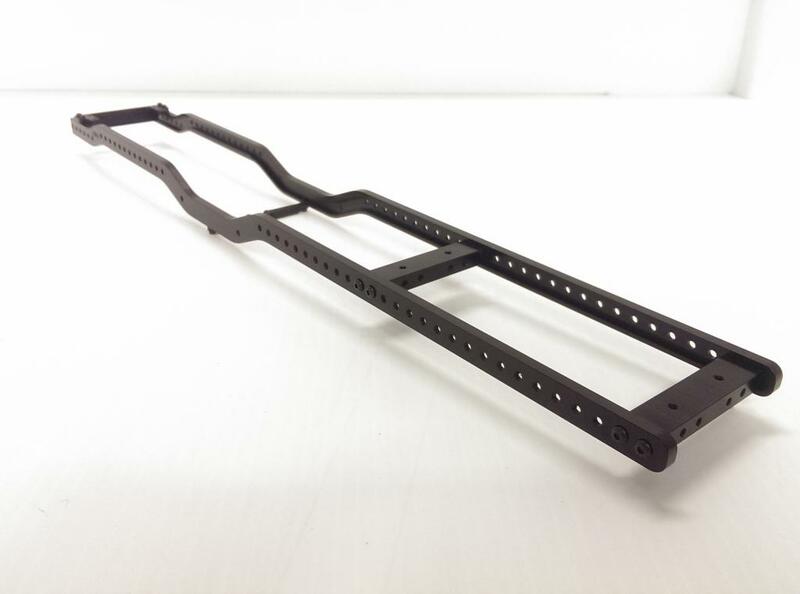 Leaf spring or coil spring mounting parts are easily available in this section, or add your own shock towers and skid plate and make a whole new truck with your favorite setup! Body and bumper and battery mount options available at our GCM Racing ShapeWays store Here at this link to make your CMAX combo fit many popular bodies. Includes All Hex Hardware and all aluminum mounts and rails. 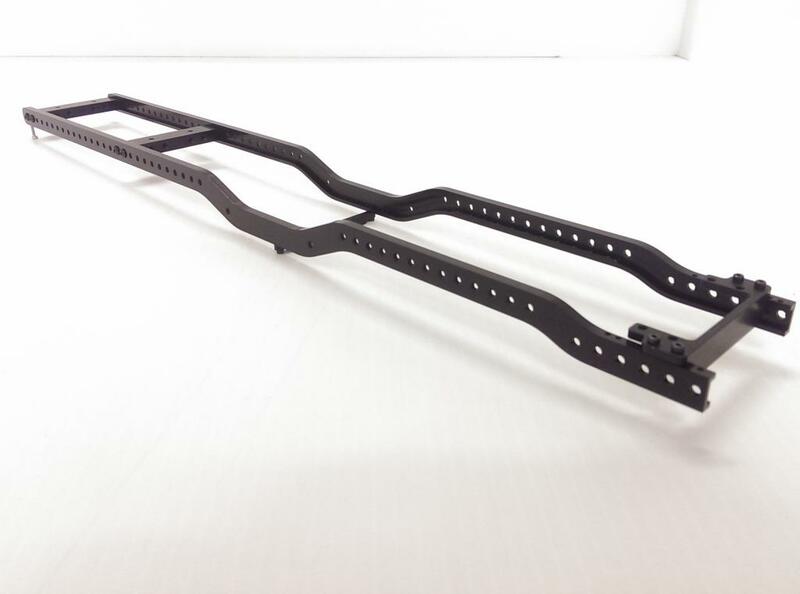 This kit does NOT contain leaf spring mounts, link mounts, shock towers, or drivetrain parts.